REDMOND, Wash.--(BUSINESS WIRE)--Two of Mario’s most beloved adventures are back – and this time with fresh new content perfect for new players and longtime fans. The New Super Mario Bros. U Deluxe and Mario & Luigi: Bowser’s Inside Story + Bowser Jr.’s Journey games are both now available for the Nintendo Switch system and the Nintendo 3DS family of systems*, respectively. New Super Mario Bros. U Deluxe contains New Super Mario Bros. U and the more challenging New Super Luigi U – two full games with a ton of high-quality content. While you can play as iconic characters Mario, Luigi, Toad and Nabbit, a new character also joins the mix – Toadette. Younger or less-experienced players will love playing as Nabbit and Toadette, as they offer extra assistance during play. When Toadette picks up a Super Crown, she turns into Peachette and can double jump, float slowly during freefall and boost back up when she falls in a pit. When playing as Nabbit, you won’t be hurt by enemies and can earn extra 1UPs at the end of stages. New Super Mario Bros. U Deluxe is a classic side-scrolling Super Mario experience in the vein of the original games. With 164 levels and numerous hidden secrets, it’s the ideal game to play at home or on the go. There is a wide variety of additional game modes to entertain players of all skill levels, and with up to four player multiplayer**, you and your friends and family members can all play together. 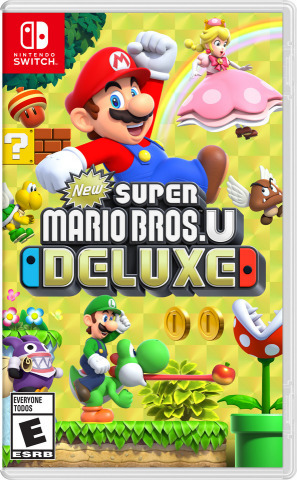 New Super Mario Bros. U Deluxe is now available on Nintendo Switch at a suggested retail price of $59.99. For more information about the game, visit http://newsupermariobrosu.nintendo.com/. Mario & Luigi: Bowser’s Inside Story is one of the most acclaimed entries in the beloved Mario & Luigi RPG series. This new version for Nintendo 3DS includes all of the original’s hilarious and captivating content, with revamped graphics and refined gameplay. It also includes an original new mode starring everyone’s favorite son of the famous Koopa King, Bowser Jr., as he gathers an army, creates formations, supports his allies with an arsenal of moves and generally causes chaos (in the best way possible). 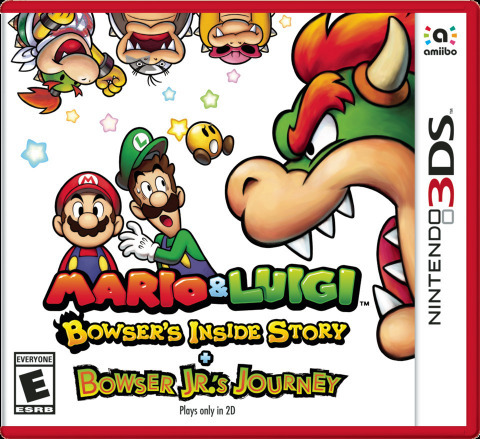 Mario & Luigi: Bowser’s Inside Story + Bowser Jr.’s Journey is now available at a suggested retail price of $39.99 and can be played on the entire Nintendo 3DS family of systems*, including Nintendo 2DS and New Nintendo 2DS XL. For more information about the game, visit https://marioandluigibowsersinsidestory.nintendo.com/. Remember that Nintendo Switch and the Nintendo 3DS family of systems feature parental controls that let adults manage the content their children can access. For more information about other features, visit https://www.nintendo.com/switch/ or https://www.nintendo.com/3ds/. *Mario & Luigi: Bowser’s Inside Story + Bowser Jr.’s Journey is playable only in 2D. **Additional accessories may be required for multiplayer mode. Sold separately.